These fabrics and colors are some of my favorites. Each one of them has sat patiently in my sewing room waiting for “the perfect project.” I don’t know how “perfect” this project will be, but it is fun to use them and to see how fabrics designed at different times and by different people can work so beautifully together. I feel a pull in my quilting. The desire to cut and explore without plan or pattern is growing in me, but I also have a number of projects I’ve planned to make, purchased fabric for, and I feel loyal to making those quilts. Using some treasured fabrics in this project is making me happy. I have already made good progress on the next section and am excited to complete it. It has been a fun journey to choose a designer and work through all the patterns I’m interested in making. 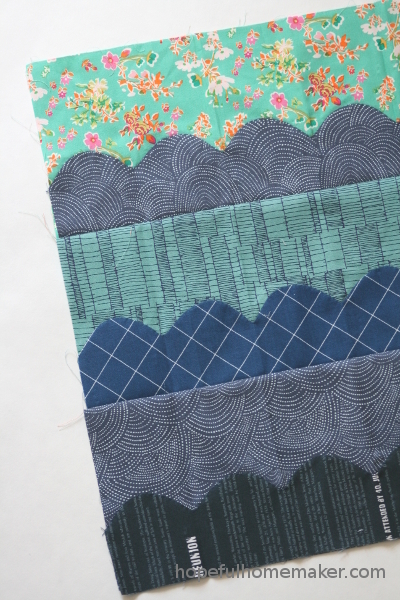 I have a few more on my list of quilts to make and look forward to beginning them soon!